Niagara Falls, NY - Dave Muscoreil tells Greg Barker of Grand Island about the Chocolate Coconut Cream Tart he's sampling at the Muscoreil's Fine Desert booth, part of the Taste of the Niagara Region. 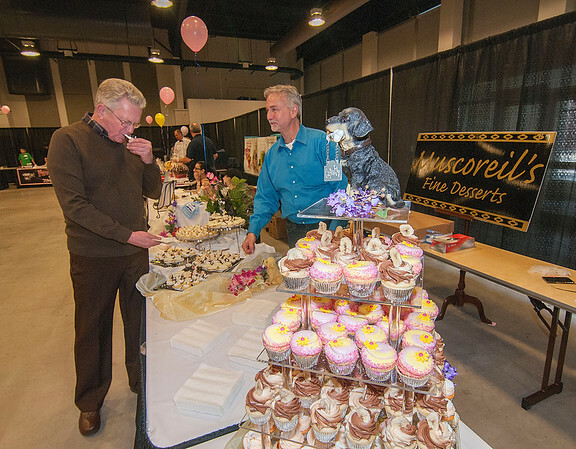 The Heart of Niagara Animal Rescue held its 4th Annual "Heart To Heart" Fundraiser " at the Conference & Event Center featuring A Taste of the Niagara Region with over 40 vendors, a basket auction and a Caribbean Extravaganza Band. All Net proceeds raised go to help the Heart of Niagara Animal Rescue, Inc.